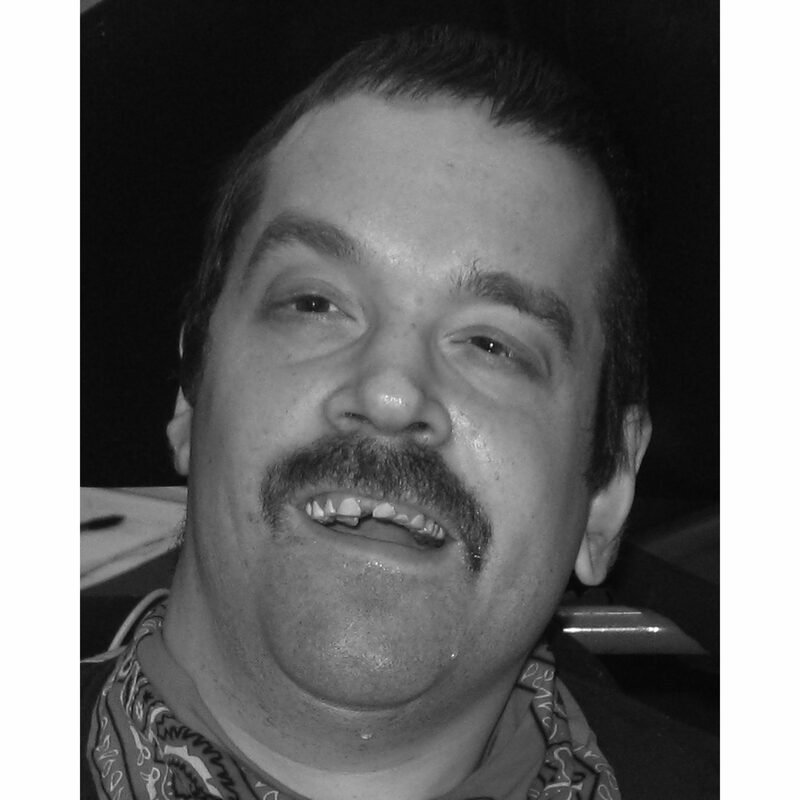 A diverse artist, Philip has been an active participant in both the dance and fine art programs at Arts Access. His choreography has been featured in past Full Circle events. Here, his painting evokes happiness and intrigue. 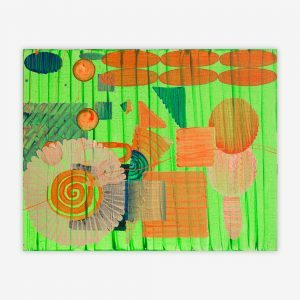 While colorful orange and green tones draw the viewer in, it’s the combination and layering of various shapes that continue to hold one’s attention.